This article is about the TV series. For other uses, see Ghost in the Shell (disambiguation). Ghost in the Shell: Stand Alone Complex[a] is a Japanese anime television series produced by Production I.G and based on Masamune Shirow's manga Ghost in the Shell. It was written and directed by Kenji Kamiyama, with original character design by Hajime Shimomura and a soundtrack by Yoko Kanno. The first season aired from October 2002 to October 2003 and was positively received by critics. A second season, titled Ghost in the Shell: S.A.C. 2nd GIG,[b] aired from January 2004 to January 2005. A third season titled Ghost in the Shell: SAC_2045 was formally announced in December 2018 and will be airing on Netflix in 2020. The series centers on the members of an elite law enforcement unit known as Public Security Section 9 as they investigate cybercrime and terrorism cases; these cases often are connected to their pursuit of an elite "Super Class A" hacker and corporate terrorist known as "The Laughing Man". A series of associated short comic animations, titled Tachikomatic Days, aired after each episode. These shorts star the Tachikoma "think-tanks" from the main series, and they typically relate directly to the story of the preceding Stand Alone Complex episode. The series takes place in the year 2030, where many people have become cyborgs with prosthetic bodies. Primarily set in the fictional Japanese city of Niihama, Niihama Prefecture (新浜県新浜市, Niihama-ken Niihama-shi), the series follows the members of Public Security Section 9, a special-operations task-force made up of former military officers and police detectives. While the group investigates various crimes, both seasons feature ongoing investigations into two incidents that embroil the group in corruption within other branches of the Japanese government. The first season of Stand Alone Complex focuses on the Laughing Man incident, wherein a hacktivist ultimately reveals to the Major that he had discovered that several micromachine manufacturing corporations, in association with the Japanese government, suppressed information on an inexpensive cure to a debilitating cyberization disease in order to profit from the more expensive micromachine treatment. Following this, he abducted one of the owners of the company and attempted to force him to reveal the truth on live television, resulting in the hacker live-hacking everyone's vision and cameras at the event to cover his face with the stylized laughing face logo that became synonymous with his image. His popularity spawned several genuine imitators, resulting in the series' titular Stand Alone Complex. After an investigation by the authorities causes him to resurface in the present, Section 9 discovers these companies and several Japanese politicians later used the Laughing Man's image to garner public support and profit, and they begin a campaign, spearheaded by Togusa and the Major, to disseminate the truth. This ultimately leads to the Cabinet labeling them as domestic terrorists and forcibly disbanding them, resulting in the capture of several members and the apparent death of Motoko Kusanagi. However, it is all a ruse to deceive the government, and the very alive and well members of Section 9 regroup to bring the micromachine corporations and corrupt politicians to justice, resulting in the dissolution of the current Japanese government. The second season, 2nd GIG, set two years after the events of the first season, explores the political and social ramifications of the two world wars that took place prior to the events of the series. At the time of the Third and the Fourth World Wars, about three million Asians became refugees and were invited into Japan as a source of cheap labor. These "invited refugees", based on the reclaimed island of Dejima, soon became unemployed in the post-war period, and their social unrest borders on outright war. Section 9's involvement in the refugee issue begins after they successfully stop a hostage crisis caused by a terrorist group known as the Individual Eleven, after which newly elected Prime Minister Yoko Kayabuki officially reinstates the organization. The group seems to be modeling themselves after the May 15 Incident, where a group of naval officers assassinated the Prime Minister and then gained the support of the public, and hope to stir up the refugees' spirits by fighting for them against the Japanese government. The group also comes into contact with Kazundo Goda, head of the Cabinet Intelligence Service, who gets assistance from the group in defusing several instances between the refugees as well as assisting him in transporting plutonium through Dejima, result in several failures and refugee deaths, further straining relations. Section 9 ultimately discovers that Goda has been manipulating both events behind the scenes, leaking the social virus that creates the Individual Eleven ideology and creating a new Stand Alone Complex, as well as the intentional failures with the refugees. However, he cannot account for the charismatic Hideo Kuze who genuinely believes in the best for the refugees and helps rally for their independence from Japan. Throughout the investigation, Kusanagi discovers she may know Kuze from her childhood. Ultimately, Goda is found guilty of his part in the refugee incidents and killed before he can defect to the American Empire, but not before his ministrations also result in the death of Kuze. In the film Ghost in the Shell: Stand Alone Complex - Solid State Society, taking place two years following the resolution of the Individual Eleven incident, the Major has left Section 9, and Togusa is now field commander, leading an investigation into several deaths of refugees from the Siak Republic, which results in the discovery of a government computer system coordinating the kidnappings of 20 thousand abused children who have had their cyberbrains replaced and placing them under the care of several senior citizens made comatose by another government program that takes care of all of their bodily needs. Their investigation, which brings the Major out of hiding, reveals an entity known as the Puppeteer behind the kidnappings, but the Puppeteer is a rhizome formed by the collective will of the senior citizens, and it was only the Siak Republic's intent to use the kidnapped children in their plans that led to their downfall. However, the investigation further reveals that a member of the House of Representatives is also using the children for his nationalistic purposes, and Section 9 with the Major infiltrates a welfare center where the MP brainwashes the children, resulting in the Puppeteer revealing his own identity that the senior citizens wished to give the children free will in their future, with the politician interfering in that new plan. Ghost in the Shell: Stand Alone Complex was animated by Production I.G, and produced by Bandai Visual, Bandai Entertainment, Dentsu, Nippon Television Network, Tokuma Shoten, Victor Entertainment, Anchor Bay Entertainment, and Manga Entertainment. The series was directed and written by Kenji Kamiyama, with additional screenwriters including Junichi Fujisaku, Yoshiki Sakurai, Shōtarō Suga, Dai Satō, Nobutoshi Terado, Yutaka Ōmatsu, and Yūichirō Matsuka. Masamune Shirow, author of the original Ghost in the Shell manga, provided plot for several episodes, sketches of characters and mechanical designs (including the Tachikoma), and gave his approval to the scripts before production. The series was produced with an 800 million yen investment. Kenji Kamiyama decided to make the anime television series as a "relative" to the manga and film, serving as a separate parallel world from both. For the second season, Mamoru Oshii had contributed with his ideas to the concept of the entire series and initial planning stages. Shuko Murase stated that they were initially going to concentrate on how Japan was going to participate in war after 9/11 as intended to portray a fictional future. But by the time they were working on the episodes, the Iraq War had already started and Japan's Self-Defense Force was sent to Iraq. During this time Japan also had an election. Murase continued to state that he created the "Individual Eleven" episodes to express irresponsibility of the Japanese people when they voted for the politicians that planned to send Japanese troops to Iraq and Afghanistan. 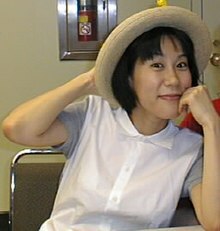 The soundtrack for the series was composed by Yoko Kanno and produced by Victor Entertainment. The first season's opening theme is "Inner Universe" performed by Origa (written by Origa and Shanti Snyder). The lyrics are in Russian, English, and Latin. The first season's ending theme is "Lithium Flower" performed by Scott Matthew (written by Tim Jensen). When the series was later re-broadcast on terrestrial television in Japan, "Inner Universe" was replaced with "GET9", performed by jillmax (written by Tim Jensen), while "Lithium Flower" was replaced with "I Do", written and performed by Ilaria Graziano. The anime television network Animax first licensed and broadcast the series in 2002 across most of Asia, as well as in Latin America. It was subsequently licensed by both Anchor Bay Entertainment and Manga Entertainment in North America, and Madman Entertainment in Australia. It was broadcast in the United States on Cartoon Network's Adult Swim programming block, in Canada by YTV and in the United Kingdom by AnimeCentral. A series of associated short comic animations, titled Tachikomatic Days (タチコマな日々, Tachikoma na Hibi), aired immediately after each episode of the series. These shorts star the Tachikoma "think-tanks" from the main series, and typically relate directly to the story of the preceding Stand Alone Complex episode. The second season of Stand Alone Complex, titled Ghost in the Shell: S.A.C. 2nd GIG, aired on Animax from 1 January 2004 to 8 January 2005. The production of a second season was immediately decided after the first season's TV airing. The second season was initially hinted when Bandai has extended the episode list to 52 episodes at Otakon of 2003. 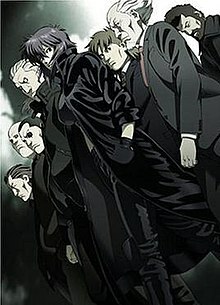 On Halloween of 2003, Production I.G officially announced a second season for Ghost in the Shell: Stand Alone Complex. It premiered on 1 January 2004 in Japan on SKY PerfecTV! 's Perfect Choice (Animax), on a pay-per-view basis. The series was later aired on the terrestrial Nippon TV from 6 April 2005. Animax also later aired the series across its other networks worldwide, including its English language networks in Southeast Asia and South Asia, as well as its other networks in Hong Kong, Taiwan, Latin America, and several other regions. 2nd GIG was also later aired in the United States on Cartoon Network's Adult Swim block. Bandai Visual owns the DVD distribution rights in Japan, while Anchor Bay Entertainment and Manga Entertainment owns the distribution rights in North America and Europe. The show began airing daily on AnimeCentral beginning 4 November 2007 in both English (two nightly screenings) and original Japanese (one late-night screening). On 18 March 2015 it was announced that Stand Alone Complex would receive a full weekly rebroadcasting in Japan on BS11, starting on 1 April 2015 onward. On April 25, 2017, Starz announced that they would be offering episodes of the series for their Video on Demand service starting May 1, 2017. 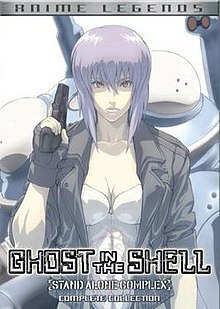 A feature-length OVA titled Ghost in the Shell: Stand Alone Complex - The Laughing Man was released in Japan on 23 September 2005, and in North America on 2 October 2007. The OVA retells the first season of the anime television series with minor alterations to the storyline to accommodate an abbreviated take on the Laughing Man affair. Some additional animation and voice work was also added. Although the Japanese-language version retained the voice cast from the anime series, the English version has a new cast of voice actors. The dialogue recording for the English version was produced by Ocean Productions. A Blu-ray version was released on 22 December 2010. Ghost in the Shell: S.A.C. 2nd GIG – Individual Eleven is a feature-length OVA which retells the events of S.A.C. 2nd GIG, altered to focus on both the Individual Eleven investigation and the relationship between Hideo Kuze and Motoko Kusanagi. Newly animated scenes and a remixed soundtrack are also included. A TV-film sequel titled Ghost in the Shell: Stand Alone Complex - Solid State Society was released in 2006. Ghost in the Shell: Stand Alone Complex has received three video game spin offs. The first video game is Ghost in the Shell: Stand Alone Complex for the PlayStation 2 and was developed by Cavia. It was released on 4 March 2004 in Japan and 8 November 2004 in North America. The second video game is for the PSP, was developed by G-Artist, and is also titled Ghost in the Shell: Stand Alone Complex. [Note 2] It was released in Japan on 15 September 2005 and in North America on 25 October 2005. The third is an online first person shooter for the PC, titled Ghost in the Shell: Stand Alone Complex - First Assault Online. Although it is still in beta at the time of this writing it is an open beta and it already has many players. Several mobile phone games have been released exclusively to Japan. The first is titled Ghost in the Shell: S.A.C. Cyber Mission (攻殻機動隊 S.A.C. サイバーミッション, Kōkakukidōtai SAC Saibā Misshon) and was developed by GREE and released on 14 February 2011. The second shares the name of the anime and PlayStation 2 video game, was developed by Mobage and released on 16 November 2011. The game focuses on an unnamed new detective who works for Section 9. The third is a social game also developed by Mobage, titled Ghost in the Shell S.A.C. Tachikoma Wars! (攻殻機動隊 S.A.C. タチコマウォーズ!, Kōkaku Kidōtai S.A.C. Tachikoma Wōzu! ), and released on 29 March 2012. On 13 December 2012, Nexon stated it had obtained the rights of Ghost in the Shell: Stand Alone Complex for the purpose of the creation of a massively multiplayer online game. On 12 February 2013, the first details were released through Online Gamer Japan. The game was formally announced on 17 September 2015, under the title of Ghost in the Shell: Stand Alone Complex - First Assault Online. The game is a first-person shooter with a heavy basis on hacking and customization of the player's cyberized body. First Assault Online entered early access on Steam on 14 December 2015, and has mostly positive reviews from users. A three-volume novel series based on the anime television series and collecting self-contained stories was written by staff writer Junichi Fujisaku and illustrated by Kazuto Nakazawa. The novels were published by Tokuma Shoten and distributed by Dark Horse Comics in the United States. The first volume, titled Ghost in the Shell: Stand Alone Complex - The Lost Memory,[Note 3] was released on 21 January 2004 in Japan and on 24 May 2006 in the US. The second volume, Ghost in the Shell: Stand Alone Complex - Revenge of the Cold Machines,[Note 4] was released on 8 July 2004 in Japan and on 26 September 2006 in the US. The third volume, Ghost in the Shell: Stand Alone Complex - White Maze[Note 5] was released on 4 February 2005 in Japan and on 2 January 2007 in the US. Two short prose stories were released in the Ghost in the Shell: Five New Short Stories prose anthology released in 2017. The first was called Shadow.Net written by Toh Enjoe which references the Puppeteer's actions from the Solid State Society film but could also conceivably be referring to the events in the manga. The second story(which appears as the third story in the collection) was called Soft and White by Kafka Asagiri which revolves around the Laughing Man's actions in the time period between Standalone Complex and 2nd GIG. Two manga series based on Stand Alone Complex have been published by Kodansha. The first series, Ghost in the Shell: S.A.C. - Tachikomatic Days (攻殻機動隊S.A.C. タチコマなヒビ, Kōkaku Kidōtai S.A.C. Tachikoma na Hibi), is based on the associated Tachikomatic Days shorts. The manga was drawn by Mayasuki Yamamoto and was launched on 9 December 2009 in Monthly Young Magazine. Three tankōbon volumes were released on 5 November 2010, 4 March 2011 and 5 August 2011 respectively. The second manga series, sharing its name with the television series, was drawn by Yu Kinutani and launched on 14 December 2009 in Weekly Young Magazine. The manga is an adaptation of the first season of the anime series. Three tankōbon volumes were released. The first volume subtitled "Episode 1: Section9" was released on 6 April 2010 in Japan and on 24 May 2011 in North America. The second volume subtitiled "Episode 2: Testation" was released on 5 November 2010 in Japan and on 29 November 2011 in North America. The third volume subtitled "Episode 3: Idolater" was released on 5 August 2011 in Japan. The fourth volume subtitled "Episode 4: ¥€$" was released on 6 March 2012 in Japan. An official guidebook/DVD to the first 19 episodes of the TV series titled Ghost in the Shell: Stand Alone Complex Official Log 1 was released by Bandai and Manga Entertainment on 25 October 2005. The guidebook and DVD contains several interviews from several staff members, reports on several animation techniques and other reports on several concepts of the series. A second guidebook/DVD titled Ghost in the Shell: Stand Alone Complex Official Log 2 was released on 24 January 2006 featuring background, commentary and examination of the remaining 7 episodes. Another guidebook titled Ghost in the Shell: SAC - Ultimate Archive (攻殻機動隊SACアルティメットアーカイブ, Kōkaku Kidōtai SAC Arutimetto Ākaibu) was published by Tokuma Shoten and released on 31 March 2007. Another guidebook titled Tachikoma's All Memory. Numerous figurines have been released for Stand Alone Complex versions of the characters with Motoko and Tachikoma being a central focus. Various figures have been produced from CM Corporation, and Kaitendo. Tachikoma figures have been produced by various companies, including one by the Good Smile Company in cooperation with Nendoron. A 1/24th scale plastic model kit of the Tachikoma was produced by Wave in December 2005. Other merchandise includes clothing, key chains, notebooks, patches, bags, posters and body pillows. Ghost in the Shell: Stand Alone Complex received mostly positive reviews from critics, who praised the series' high quality of animation and the musical score by Yoko Kanno. In particular, reviewers reacted positively to the world of high-technology that Stand Alone Complex presents, described as "believably futuristic". Lawrence Person from Locus Online wrote that "the world of [Stand Alone Complex] is recognizably our own, or rather, one recognizably extrapolated from modern Japan. While parts of the technology seem unlikely in the time-frame allotted, none seems impossible." In addition, several reviews mentioned what they perceived to be overarching themes explored in the series as a result of the setting; specifically, the meaning of humanity in a world where the lines between man and machine were becoming increasingly blurred, as well as various societal issues that might emerge as a result of advances in technology. Reviewers agreed that the main "Laughing Man" storyline was satisfying, characterizing it variously as "interesting", "complex", and "engaging". Reaction to the series' "Stand Alone" episodes, however, was mixed: some reviewers considered these episodes to be boring and, in some cases, the worst episodes of the series, while others contended that they allowed further development of the characters and the futuristic setting. Certain commentators specifically focused on the series' success or failure in achieving the high standards set by the critically acclaimed 1995 film Ghost in the Shell. Opinion in this regard was divided: although these reviewers took an overall favorable view, some reviews criticized the quality of animation, while others felt that the series' story lacked the depth of the original film. This "lack of depth", however, was attributed to the fact that Stand Alone Complex is an action-oriented series with a limited episode length in which to explore deeper themes. Bolstering the generally positive reviews of the series, Ghost in the Shell: Stand Alone Complex won an Excellence Prize (Animation Division) at the 2002 Japan Media Arts Festival, a Notable Entry Award at the 2003 Tokyo International Anime Fair, and was featured in June 2004 by Newtype USA, with a "double scoop" cover story. The Japan Media Arts Festival provided a brief summary of Stand Alone Complex, calling it a "completely original television series...entertaining and easy to understand". Chris Beveridge of Mania gave 2nd GIG an overall score of A praising its coloring stating, "Colors are gorgeous and solid, especially all the various areas of large soft colors that look to be amazingly solid and with no visible break-up even during pausing." Mark Thomas of Mania also gave it an overall score of A, stating: "It has plenty of good action and thought provoking plot points." Andy Patricio of IGN rated the first DVD volume 9/10 praised the animation, stating: "Artwork is richer; this is easily the best-looking anime Production I.G. has ever produced. CG is richer and more widely-used. Animation is more complex and fluid, although it's still a little jerky, which is common in TV shows." Joe Luscik of Animefringe ranked the series 4.5 out of 5 praising the animation stating it "is just awesome". Adam Arseneau of DVD Verdict praised the direction of the 2nd season compared to the first stating, "The tongue-in-cheek humor that made the show clever and endearing is still present, but the atmosphere feels more violent, more urban and dystopic, as if no longer afraid to address the social problems of the future." ^ In the series' soundtracks, "Snyper" is titled "From the Roof Top～Somewhere in the Silence (Sniper's Theme)". ^ Ghost in the Shell: Stand Alone Complex - Frozen Machine (攻殻機動隊 STAND ALONE COMPLEX 凍える機械, Kōkaku Kidōtai STAND ALONE COMPLEX Kogoeru Kikai) in Japan. ^ Ghost in the Shell: Stand Alone Complex - Coffin of a Sleeping Man (攻殻機動隊 STAND ALONE COMPLEX 眠り男の棺, Kōkaku Kidōtai STAND ALONE COMPLEX Nemuri Otoko no Kan) in Japan. ^ Bertschy, Zac; Bundy, Rebecca (11 October 2002). "The Fall 2002 Anime Season Preview Guide". Anime News Network. Retrieved 19 September 2018. ^ "Kôkaku kidôtai: Stand alone complex - The laughing man (Video 2005) - Technical Specifications - IMDb". ^ "Kôkaku kidôtai: S.A.C. 2nd GIG . Individual eleven (Video 2005) - Technical Specifications - IMDb". ^ a b c d Ressler, Karen. "New Ghost in the Shell 3DCG Anime Project to Premiere on Netflix in 2020". Anime News Network. Retrieved 8 December 2018. ^ a b Pineda, Rafael. "New Ghost in the Shell Anime Will Have 2 Seasons". Anime News Network. Retrieved 8 December 2018. ^ Kilkenny, Katie. "Netflix's 'Ghost in the Shell' Series Will Arrive in 2020". Hollywood Reporter. Retrieved 8 December 2018. ^ a b c d e f "Into the Network: The Ghost in the Shell Universe". Production I.G. Archived from the original on 30 January 2011. Retrieved 29 January 2011. ^ "Production I.G. - Ghost in the Shell Solid State Society". Production I.G. Archived from the original on 30 January 2011. Retrieved 29 January 2011. ^ "Interview: Kenji Kamiyama". Production I.G. Retrieved 16 November 2011. ^ "Ghost in the Shell: Stand Alone Complex Individual Eleven". Production I.G. Retrieved 16 November 2011. ^ "Staff & Cast". Production I.G. Archived from the original on 1 September 2010. Retrieved 2 September 2010. ^ "Ghost in the Shell: Stand Alone Complex Interview". Anime News Network. Retrieved 4 November 2011. ^ "Ghost in the Shell: S.A.C. 2nd Gig". Production I.G. Retrieved 7 January 2013. ^ Scally, Deborah; Drummond-Mathews, Angela; Hairston, Marc. (3 September 2007). "Interview with Murase Shūkō and Satō Dai". Mechademia 4: War/Time. University of Minnesota Press. pp. 330–333. ISBN 978-0-8166-6749-9. ^ "Animax's official GitS:SAC webpage" (in Japanese). Animax. Archived from the original on 19 October 2010. Retrieved 2 September 2011. ^ "Bandai Visual anime titles, 2000-2006". Bandai Visual Co., Ltd. Archived from the original on 2 September 2010. Retrieved 2 September 2010. ^ "Manga Entertainment's official UK GitS:SAC website". Manga Entertainment. Archived from the original on 6 September 2010. Retrieved 2 September 2010. ^ "Madman Entertainment's official GitS:SAC webpage". Madman Entertainment. Retrieved 2 September 2011. ^ "Adult Swim's GitS:SAC webpage". Adult Swim. Archived from the original on 2 September 2010. Retrieved 2 September 2010. ^ "Channel Canada reports on YTV's fall 2005 lineup, including GitS:SAC". Channel Canada. Archived from the original on 30 January 2011. Retrieved 2 September 2010. ^ "AnimeCentral's Series page for GitS:SAC". CSC Media Group Ltd. Archived from the original on 20 September 2010. Retrieved 2 September 2010. ^ "Bandai Entertainment - Otakon - 2003". Retrieved 16 November 2011. ^ "Production I.G announces Stand Alone Complex Second Season". Retrieved 16 November 2011. ^ "「攻殻機動隊 STAND ALONE COMPLEX」関東地上波独立局にて4月より再放送決定！". Kokaku-a Blog. Retrieved 20 March 2015. ^ "Starz app May 2017 Movies and TV Titles Announced". ComingSoon.net. 25 April 2017. Retrieved 22 July 2018. ^ "攻殻機動隊 STAND ALONE COMPLEX The Laughing Man(Blu-ray)" (in Japanese). Jbook. Retrieved 13 February 2012. ^ "Ghost in the Shell: Stand Alone Complex Solid State Society Overview". Production I.G. 24 November 2006. Retrieved 8 November 2011. ^ "Ghost in the Shell: Stand Alone Complex (PS2)". GameSpy. Retrieved 9 October 2012. ^ "Ghost in the Shell: Stand Alone Complex (PSP)". GameSpy. Retrieved 9 October 2012. ^ "「攻殻機動隊 S.A.C. サイバーミッション」　SNSゲームでGREEに登場" (in Japanese). Animeanime.jp. Retrieved 23 December 2012. ^ "『攻殻機動隊 STAND ALONE COMPLEX』ソーシャルゲームで捜査開始！　Mobageで事前登録受付がスタート" (in Japanese). Famitsu. Retrieved 23 December 2012. ^ タチコマがソーシャルゲームに　「攻殻機動隊」の世界を描く (in Japanese). Animeanime.jp. Retrieved 5 November 2012. ^ Ishaan. "Ghost in the Shell: Stand Alone Complex Online Game Coming From Nexon". Siliconera. Ishaan. Retrieved 20 February 2013. ^ YJ. "Nexon provides a brief on their upcoming Ghost in the Shell MMO". Saint-ism. Retrieved 29 July 2013. ^ "Ghost in the Shell First Assault Online Shooter Game's English Gameplay Trailer Streamed". Anime News Network. Retrieved 22 September 2015. ^ Ishaan. "Ghost in the Shell Online Game Is An FPS With A Focus On Hacking". Siliconera. Siliconera. Retrieved 20 February 2013. ^ "Now Available on Steam Early Access - Ghost in the Shell: Stand Alone Complex - First Assault Online". Valve Corporation. 14 December 2015. Retrieved 2 June 2016. ^ "Ghost in the Shell: Stand Alone Complex - First Assault Online". Valve Corporation. Retrieved 2 June 2016. ^ 攻殻機動隊 虚夢回路 (in Japanese). Tokuma Shoten. Retrieved 6 November 2011. ^ "Ghost in the Shell: Stand Alone Complex Volume 1 The Lost Memory (Novel)". Dark Horse. Retrieved 6 November 2011. ^ 攻殻機動隊 凍える機械 (in Japanese). Tokuma Shoten. Retrieved 6 November 2011. ^ "Ghost in the Shell: Stand Alone Complex Volume 2 Revenge of the Cold Machines (Novel)". Dark Horse. Retrieved 6 November 2011. ^ 攻殻機動隊 眠り男の棺 (in Japanese). Tokuma Shoten. Retrieved 6 November 2011. ^ "Ghost in the Shell: Stand Alone Complex Volume 3 White Maze (Novel)". Dark Horse. Retrieved 6 November 2011. ^ a b "Ghost in the Shell: SAC to Spawn 2 New Manga in Japan (Updated)". Anime News Network. 7 November 2009. Retrieved 4 November 2011. ^ "攻殻機動隊S.A.C. タチコマなヒビ" (in Japanese). Kodansha. Retrieved 15 November 2011. ^ a b c d "攻殻機動隊 STAND ALONE COMPLEX" (in Japanese). Kodansha. Retrieved 15 November 2011. ^ "Ghost in the Shell: Stand Alone Complex 1". Kodansha. Retrieved 9 October 2011. ^ "Ghost in the Shell: Stand Alone Complex 2". Kodansha. Retrieved 9 October 2011. ^ "GHOST IN THE SHELL: STAND ALONE COMPLEX OFFICIAL LOG VOLUME ONE". Anime News Network. Retrieved 17 January 2013. ^ "攻殻機動隊SACアルティメットアーカイブ" (in Japanese). Retrieved 11 January 2013. ^ "しょく～ん！ 攻殻機動隊STAND ALONE COMPLEX TACHIKOMA'S ALL MEMORY" (in Japanese). Retrieved 11 January 2013. ^ "Gutto kuru Figure Collection Kusanagi Motoko (PVC Figure)". Retrieved 6 January 2013. ^ "Ghost in the shell Stand Alone Complex Kusanagi Motoko (PVC Figure)". Retrieved 6 January 2013. ^ "Nendoroid Tachikoma". Good Smile Company. Retrieved 6 January 2013. ^ "Tachikoma (Plastic model)". Retrieved 6 January 2013. ^ "Ghost in the Shell Store : Merchandise". GKWorld. Retrieved 6 January 2013. ^ a b c d Beveridge, Chris (19 June 2004). "Review of Ghost in the Shell: Stand Alone Complex Vol. #1". Mania.com (formerly AnimeOnDVD). Retrieved 9 February 2009. ^ a b c d e f g Tucker, Derrick. "Review of Ghost in the Shell: Stand Alone Complex". T.H.E.M. Anime Reviews. Archived from the original on 26 July 2014. Retrieved 9 February 2009. ^ a b c Santos, Carlo. "Review of Ghost in the Shell: Stand Alone Complex Vol. #1". Anime News Network. Retrieved 9 February 2009. ^ a b c d Lineberger, Robert (5 August 2004). "Review of Ghost in the Shell: Stand Alone Complex Vol. #1". DVDverdict. Retrieved 9 February 2009. ^ a b c d e f Person, Lawrence (15 January 2006). "Review of Ghost in the Shell: Stand Alone Complex". Locus Online. Archived from the original on 26 July 2014. Retrieved 9 February 2009. ^ a b Moure, Dani (21 February 2005). "Review of Ghost in the Shell: Stand Alone Complex Vol. #2". Mania.com (formerly AnimeOnDVD). Retrieved 9 February 2009. ^ a b "Excellence Prize, Animation Division: Ghost in the Shell: Stand Alone Complex". Japan Media Arts Festival. 2002. Archived from the original on 2 September 2010. Retrieved 2 September 2010. ^ "Award-winning List". Tokyo International Anime Fair. Archived from the original on 20 December 2007. Retrieved 12 January 2010. ^ "Newtype USA Vol. 3, #6 (June 2004)". Madman Entertainment. Archived from the original on 4 September 2009. Retrieved 9 February 2010. ^ Beveridge, Chris (16 September 2005). "Ghost in the Shell: Stand Alone Complex (2nd Gig) SE Vol. #1". AnimeOnDVD. Retrieved 7 November 2011. ^ Thomas, Mark (8 February 2007). "Ghost in the Shell: Stand Alone Complex 2nd Gig Set (Anime Legends)". Mania.com. Retrieved 7 November 2011. ^ Patricio, Andy (6 February 2006). "Ghost in the Shell: Stand Alone Complex - 2nd Gig (Vol. 1)". IGN. Retrieved 7 November 2011. ^ Luscik, Joe. "Ghost in the Shell: S.A.C. 2nd Gig Vol. 1". Animefringe. Retrieved 11 November 2011. ^ Arseneau, Adam. "Ghost in the Shell: Stand Alone Complex 2nd Gig Vol. 1". DVD Verdict. Retrieved 17 December 2011. Beveridge, Chris (18 March 2005). "Ghost in the Shell: Stand Alone Complex SE Vol. #05". Mania.com. Santa Monica, California: Demand Media. Archived from the original on 23 November 2011. Retrieved 23 November 2011. Chipman, Jay Scott (2010). "So Where Do I Go from Here? Ghost in the Shell and Imagining Cyborg Mythology for the New Millennium". In Perlich, John; Whitt, David (eds.). Millennial mythmaking : essays on the power of science fiction and fantasy literature, films and games. Jefferson, N.C.: McFarland & Co. pp. 167–192. ISBN 978-0-7864-4562-2. Corbett, Austin (March 2009). "Beyond Ghost in the (Human) Shell". Journal of Evolution & Technology. 20 (1): 43–50. Retrieved 7 November 2011. Laeno, Dominic (17 November 2006). "Ghost in the Shell: Stand Alone Complex". T.H.E.M. Anime Reviews. Mesa, Arizona: T.H.E.M. Archived from the original on 2 January 2007. Retrieved 23 November 2011. Orbaugh, Sharalyn (2008). "Emotional Infectivity: Cyborg Affect and the Limits of the Human". In Lunning, Frenchy (ed.). Mechademia 3: Limits of the Human. Minneapolis: University of Minnesota Press. pp. 150–172. ISBN 978-0-8166-5482-6. Rocks, Jennifer (28 November 2007). "Ghost in the Shell: Stand Alone Complex: The Laughing Man". Mania.com. Santa Monica, California: Demand Media. Archived from the original on 29 October 2011. Retrieved 23 November 2011. Ruh, Brian (31 August 2010). "Short Term Memory - BD". Anime News Network. This page was last edited on 9 March 2019, at 18:50 (UTC).